Why should I “Destroy” a Hard Drive? SEM has a wide range of hard drive destruction solutions. For low volume applications consider a Hard Drive Crushers. These are manual or hydrolytic powered crushers that use a conical punch of force that causes catastrophic trauma by bending and boring a hole through the hard drive chassis while destroying the internal platter. The most popular solution for State and Local Governments is Hard Drive Shredding. 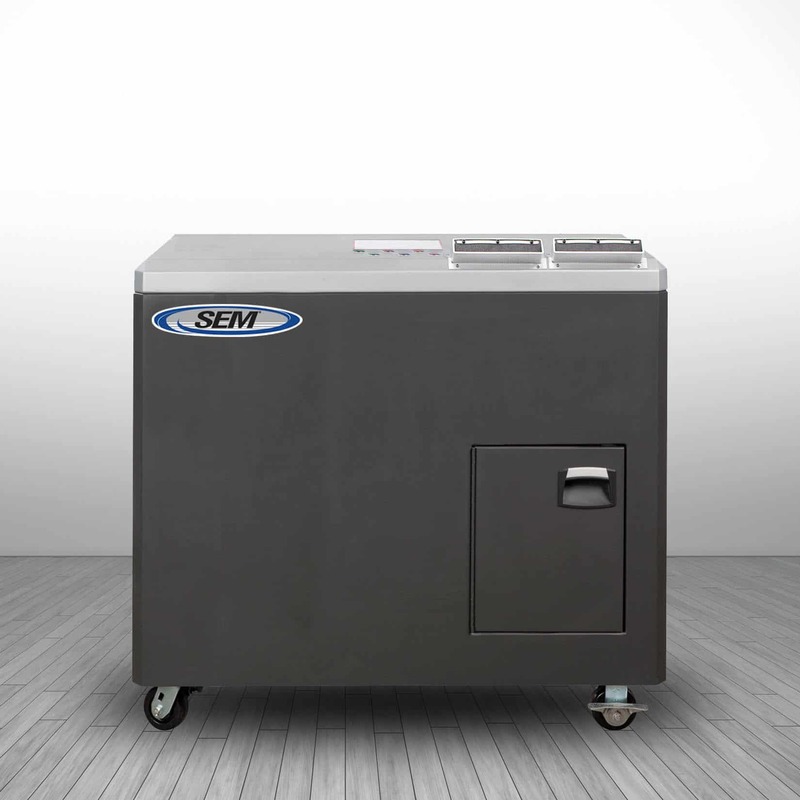 SEM Models 0300, 0301, 0302 and 0304 Hard Drive Shredders offer a wide range of solutions based on your volume, desired particle size and of course….your budget. These slow speed high torque shredders use specially designed saw tooth hook cutters to chew up hard drives to a particle sizes that range from typically 1.5” Wide down to .75”Wide. These units range from 1.0 HP to 20HP and can shred between 500-3500 drives per hour. They are easy to use, quiet and some can be used in office environments. If you need to destroy hard drives, laptops, blackberries or any other type of electronic media, SEM has a solution to meet a wide variety of budgets. For more information on Hard Drive and/or other ( Optical, Tape, etc.) media destruction systems, please visit our website at www.semshred.com/state or contact us directly at 800-225-9293 or m.sousa@semshred.com to discuss your needs.